The time for the VEX robotics competition is here! Picture Perfect had the pleasure of helping to make perfect memories of the event this year. VEX is hosted in cities all over the United States, not just in Parker, Colorado. 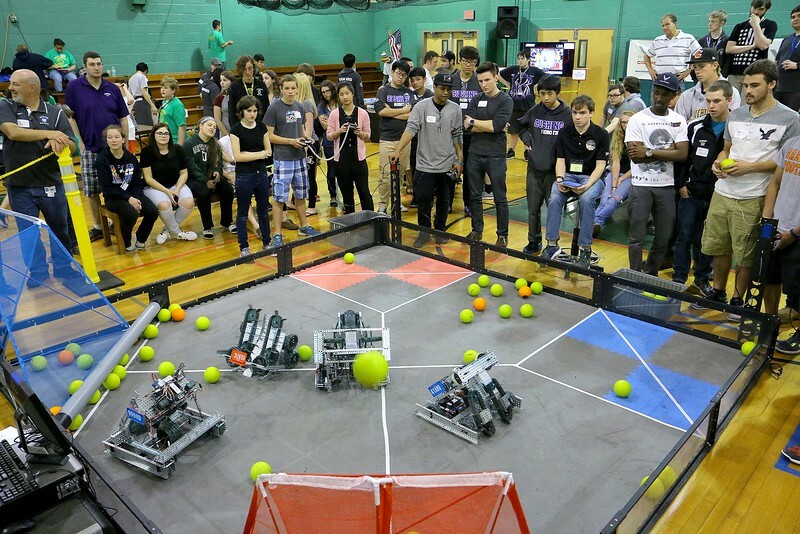 Teams of young scientists, engineers, mathematicians and students of all STEM-related topics came together to compete. This annual competition is where over 11,000 teams from 40 countries prove their technological prowess against all odds. The excitement in the air was palpable. As the booth was set up, it was obvious that Picture Perfect was part of something gripping. Held at the Lutheran High School in Parker, the state championship brought the best of the best together to compete. It was a good move to book our Open Air booth for all the competitors and spectators. Because its able to hold over a dozen guests at once, our Open Air booth is perfect for busy, high-traffic events. Guests can grab a prop, take their photos, and have as many photo strips as they’d like in no time! This allowed every guest a shot at multiple photo shoots before the event was over. Attendees of the VEX Robotics Championship had the option of taking photos, videos, or having their photos converted into a GIF. Additionally, any photos or videos taken can be shared with friends and family via text or social media. Every guests was guaranteed a free personalized memory to take home from the event. This is because of the custom logo we designed to be printed on every photo strip! From weddings to birthdays to corporate parties and more, Picture Perfect is excited to be a part of your big day! We have options for any event, with add-ons that will keep guests impressed and entertained all day. This was certainly the case for our time at the VEX Robotics Championship. We were taking pictures all day, with the line never decreasing in length! The photo booth was so popular that we were invited to return for the 2020 Vex Robotics Championship. We are looking forward to seeing you all next year! The LED Photo Booth is fun for all!